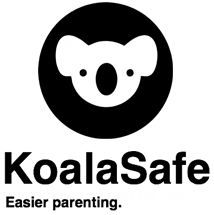 Internet safety company KoalaSafe is issuing a challenge to parents, stating that the dangers of completely unrestricted Internet access can no longer be ignored. Weekly news stories pour out about how children are being tragically harmed because of unfettered online access — and too often at home. Parent must become more vigilant in keeping their children safe. This is no longer an acceptable excuse. For years, parents had no means to restrict time or content online because of the technology,but times have changed. 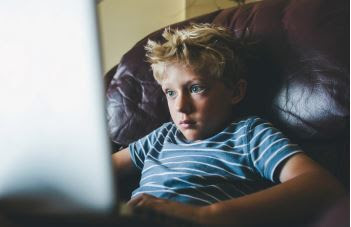 Systems like the KoalaSafe Family Friendly WIFI Access Point now give parents control by letting them restrict the sort of content their children look at and restrict the amount of time they spend, so children don’t become obsessed with a particular site or concept. KoalaSafe is a router with a wireless network that can be programmed to shut off. 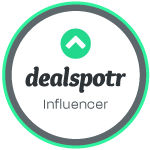 Easily connect children’s devices to the network, and schedule when they can access the Internet and it only costs $99. That is a reasonable price to pay for protecting your kids online. This product, KoalaSafe, appeals to me a lot. I have two kids who are nine and eleven. They love the Internet. My oldest is in middle school and he's been asking about social media. So far, I've not let him and the rule currently is not until high school. Or until he reaches the age that the social media website will allow him to put in his actual birthday. He hasn't made a fuss yet, but I'm sure the time is coming. My kids biggest thing is staying on their devices all the time. It isn't all their fault, as the parent I have to take blame too. It's easy to just let them stay on YouTube for hours, but it isn't healthy for them. We made devices stay down stairs at night, but we've had a few times that they've snuck down during the night when they couldn't sleep to get the devices. With KoalaSafe, the two issues I mentioned above are handled. I can block social media sites, so my son won't be tempted to break the rules and create one without me knowing. I can go in and allow the sites I want him to see and block those that I don't. As well, I can choose what times my kids can access the Internet and can't. So if they sneak down at 3AM for their tablet, sure they can play Candy Crush, but they aren't able to get on the Internet. As far as easy of use of this device. It was very simple to install and add to the network. You then log in on the website and set up the restitutions. It almost looks like an IPad on the screen. I was impressed that they had almost every app or social media on there to be able to toggle on or off to the child. We didn't notice any disturbance in the Internet for them. It didn't lack speed and worked the way most routers do. The only thing my husband would have liked to see was that it could be connected only to our network and not open to the KoalaSafe network, that way we had more security and would know no one else had access to our kids.